Six years ago, when I arrived at the not-surprising conclusion I needed a cover for my first-ever book, I decided I wanted the image to be original. That set the stage for all the books I've published, doing my best to make each cover unique and different from others out there. Sometimes, this requires me asking (okay, begging, pleading - not above bribing) someone to pose for it. Nobody is safe if they look like they'd be a good fit for the cover I'm visualizing in my head at the moment. Captain Cavedweller has been pressed into service several times (willing or not). 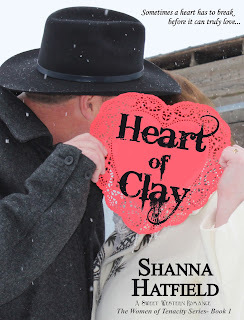 He's the hunky cowboy on the cover of Heart of Clay (which you can download free, by the way). 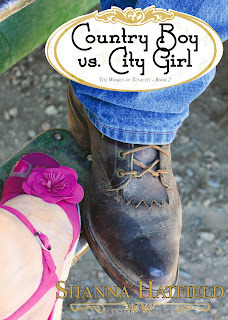 It's also his boot on this cover for Country Boy vs. City Girl. 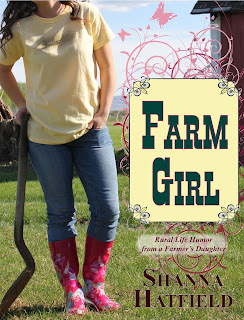 One of the cute girls who attends my church got talked into posing for the cover of Farm Girl. Since she is a farm girl, she didn't mind too much. And she got a pair of cute boots for irrigating out of the deal, too. 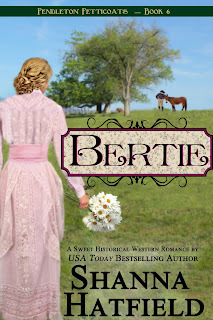 My niece Amanda posed for the cover of Bertie. She let me take it out in her pasture, so her horses got in on the action, too. Amanda's very sweet hubby has also been coerced into posing for my book covers. 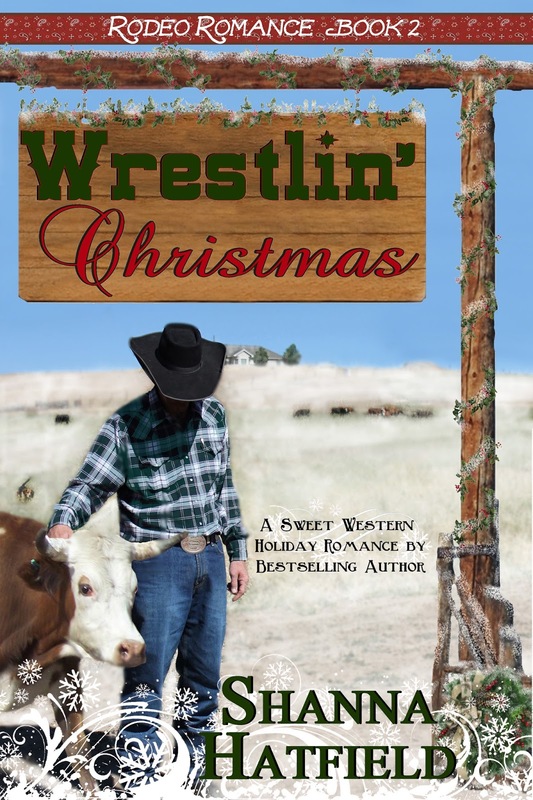 He did Wrestlin' Christmas with nary a complaint. I have several photos of him I plan to use for a new western series, once I clear a large chunk of space on my calendar to write it. Even my friends aren't safe. 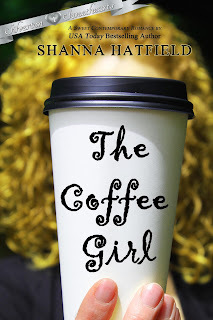 The Coffee Girl cover was taken on a lunch break after I called and asked (okay - begged with a hint of hysteria) for my lovely, curly-headed friend to pose for this cover. The latest victim... er, lucky winner of my book cover lottery is my niece, Jessie. She happens to be living with us while she's attending college. One day we were talking about any number of things, so I asked her if she and one of her friends would pose. She was all for it and somehow convinced her friend it would be a good idea. I absolutely adore the expression on her face — and it is so perfect for the story. 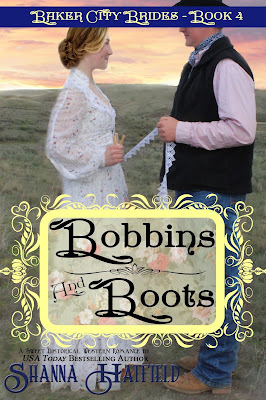 Bobbins and Boots releases March 23, but you can pre-order if for the special discounted price of just 99 cents. One carefree cowboy is about to find out in this sweet historical romance! 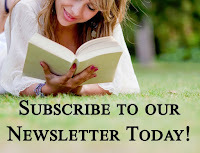 Make sure you sign up for our newsletter! You'll be in the know about parties, fun happenings, our annual boxed set, giveaways, and more! Also, become a member of our Sweet Romance Reads Cafe! You'll find a great place to interact with your favorite sweet authors, exclusive contests, and fun parties! Join today! Shanna, I've always been struck by the uniqueness of your covers. It's so much fun to get this behind-the-scenes scoop on some of them! 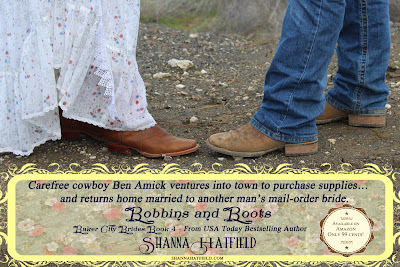 I love the cover idea, Shanna. Thanks for sharing with us. This is so fun! 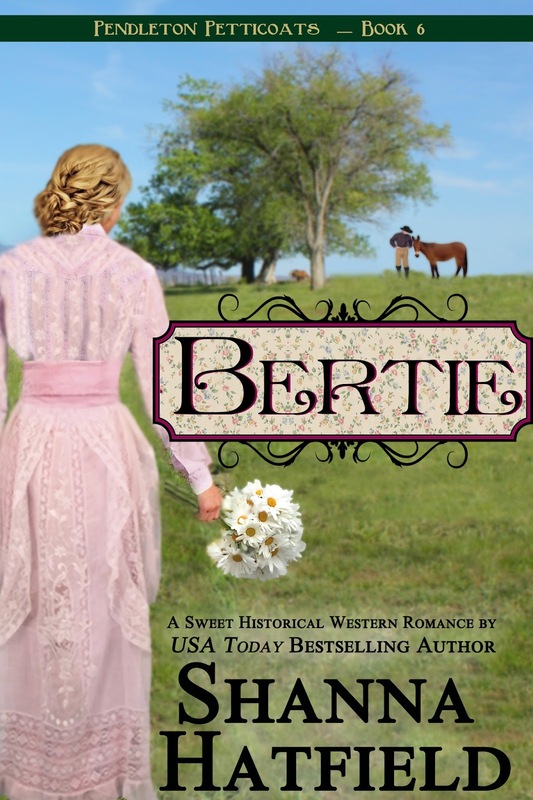 One of my covers was done using a high school girl I knew at church, since she is roughly my size, in my bedroom with all my antique furniture wearing my princess gown. I was eight months pregnant at the time and couldn't model myself. She was such a good sport about it and had a lot of fun with us. Oh, that is awesome - and I bet it made a fun memory for you both! Thanks for sharing your covers. Shanna, your posts are so much fun! Thanks for sharing! 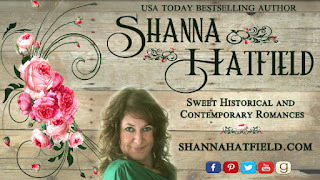 I always enjoy hearing details about your covers, Shanna! This one is absolutely beautiful! What a fun post!